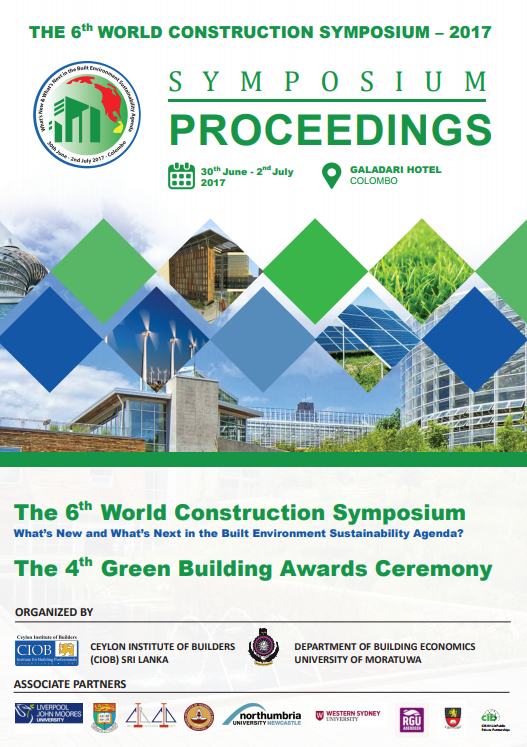 The 6th World Construction Symposium 2017 on “What’s New and What’s Next in the Built- Environment Sustainability Agenda?” was held from 30th June- 02nd July 2017 at Galadari Hotel, Colombo, Sri Lanka. The symposium was jointly organised by the Building Economics Management and Research Unit (BEMRU) of the Department of Building Economics, University of Moratuwa and the Ceylon Institute of Builders (CIOB). Liverpool John Moores University, United Kingdom, Centre for Innovation in Construction and Infrastructure Development (CICID), The University of Hong Kong, Indian Institute of Technology Madras (IIT Madras), Northumbria University, UK, Robert Gordon University, UK, Western Sydney University, Australia, CIB-W122: Public Private Partnerships and Colombo School of Construction Technology, Sri Lanka (CSCT) were the Associate Partners of the Symposium. 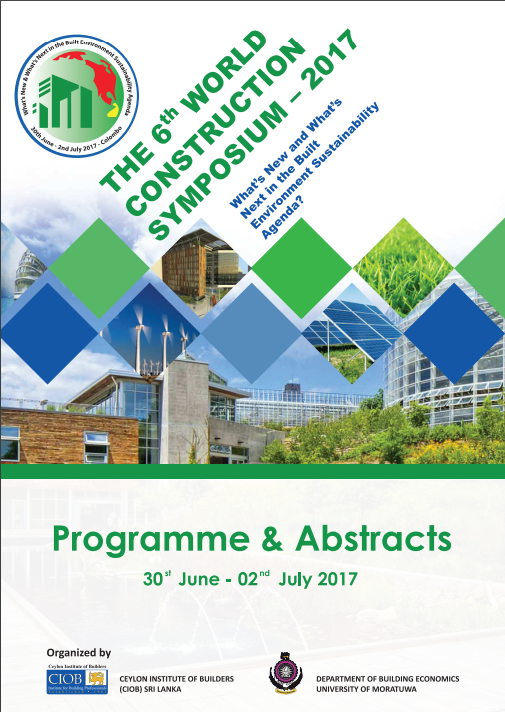 Built Environment Project and Asset Management (BEPAM), a journal published by Emerald Group Publishing, arranged for two awards, namely; the BEPAM Best Paper award and BEPAM Highly Commended Paper award.